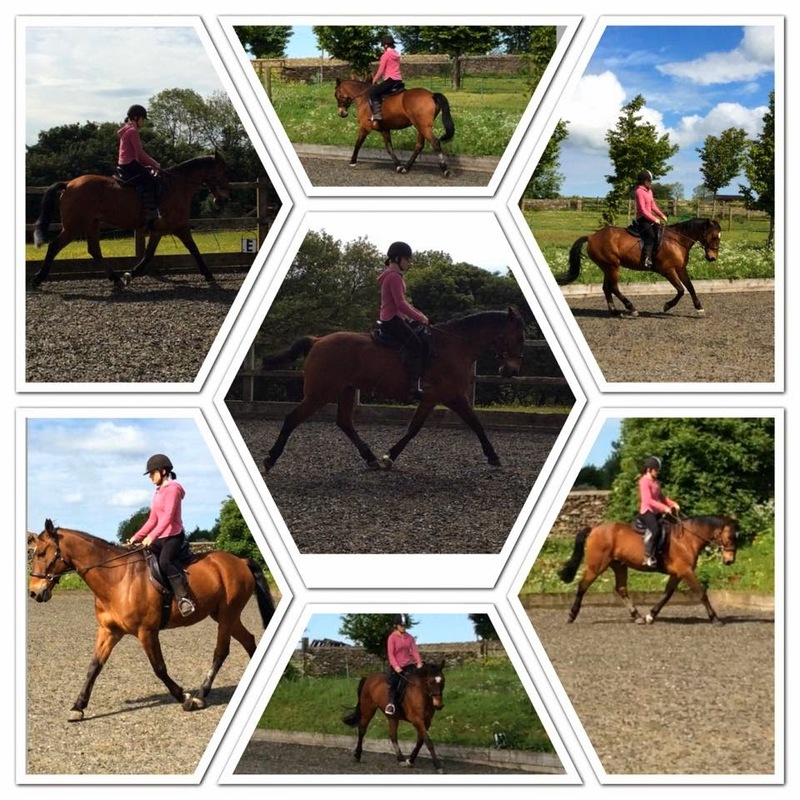 Photos of the same horse 6 months apart. This foot was in pretty dire straits. 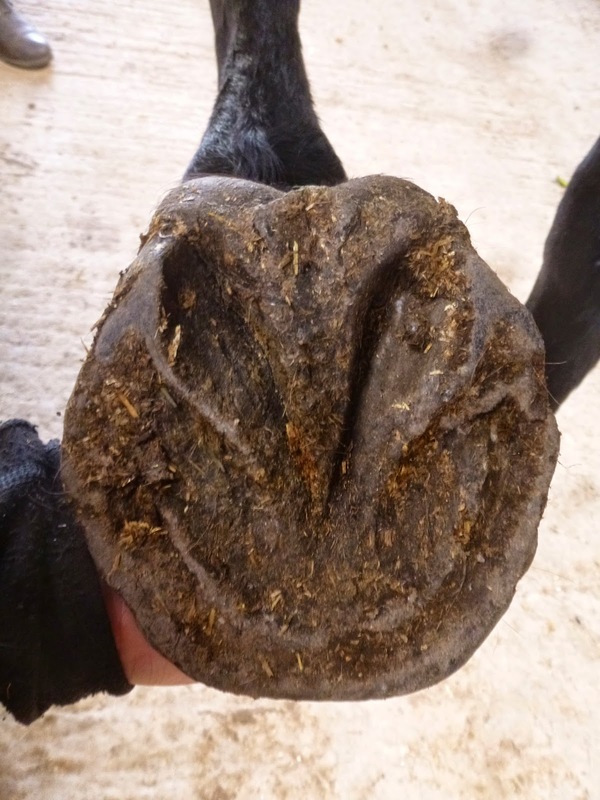 Contrast the relative positions of the frog and heels; the other key changes are the development of the digital cushion and the shorter, stronger hoof wall. 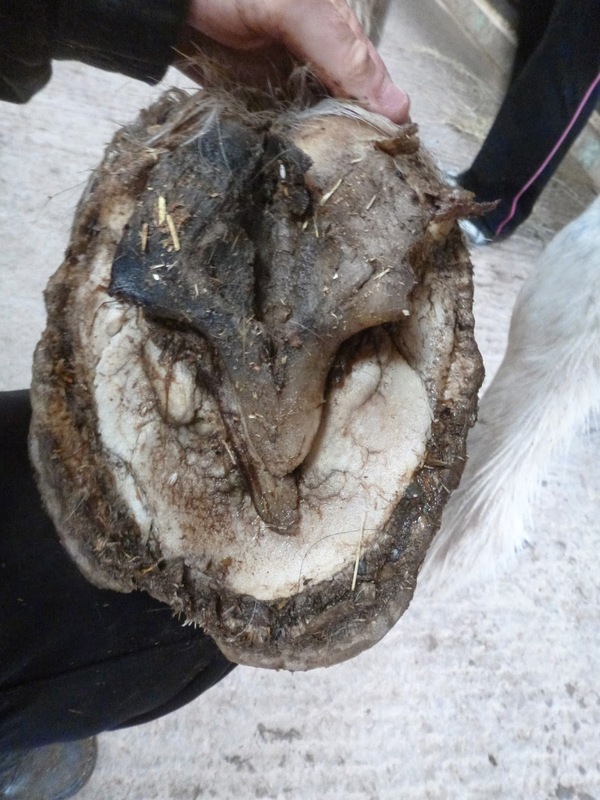 Much greater mass at the back of the foot. There is old damage on the lateral bar but that is growing out and not causing any problems at the moment. Prince has been here for 4 weeks now so its time for an update. 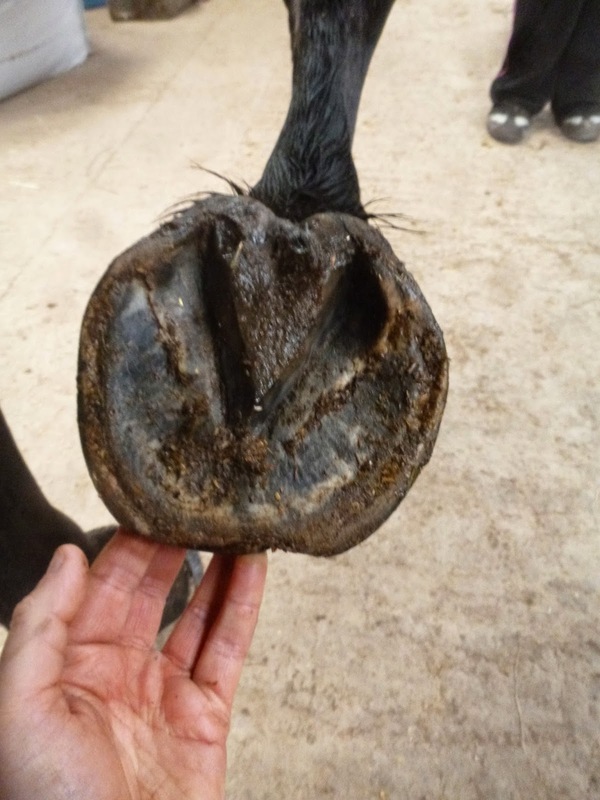 He arrived with long under-run feet which had effectively collapsed at the back. 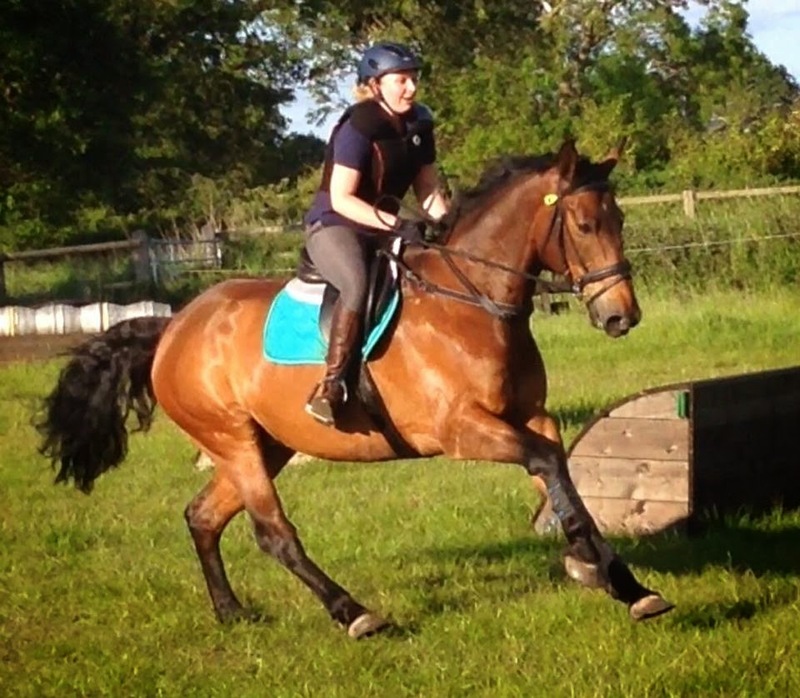 He was landing flat and intermittently toe first in front and also had a medio-lateral imbalance on his RF. Four weeks on and his foot is starting to be less under-run. 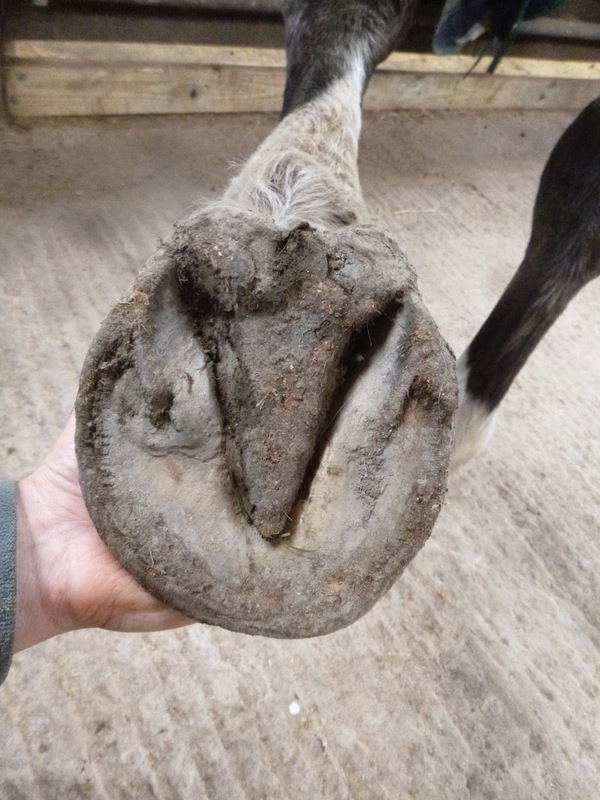 He still has a long toe but regular blog readers will be aware that shortening the toe (tempting thought it may be to do so) before the palmar hoof has strengthened is a recipe for disaster. 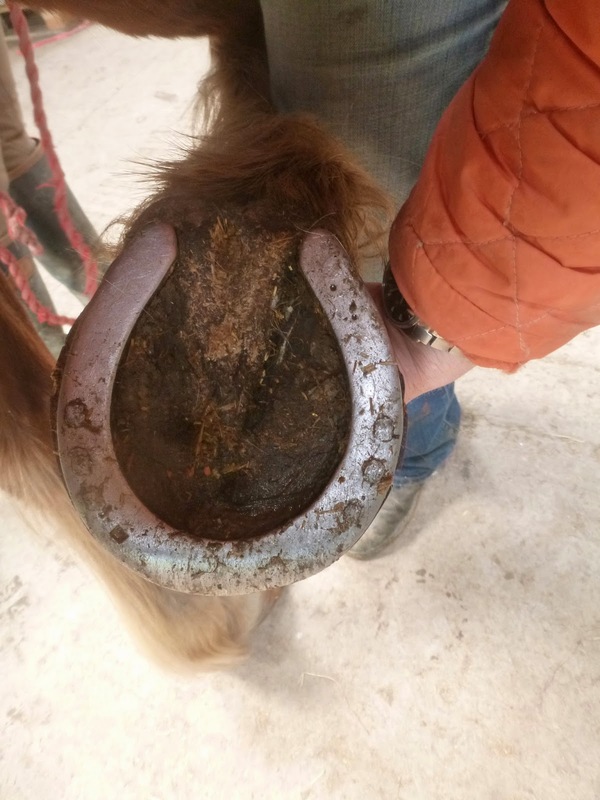 Prince is in fact growing in a new hoof capsule at a much better angle and this in itself will shorten his toe nicely over the next few months. 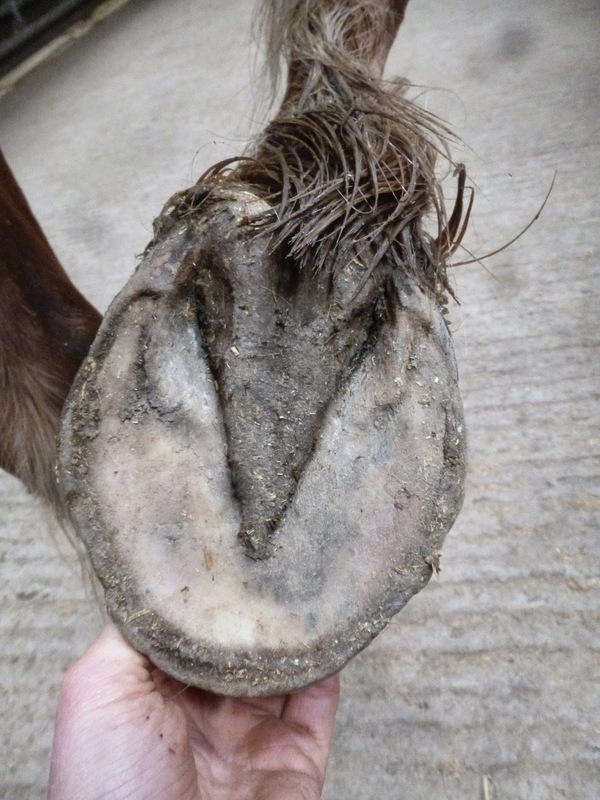 Shortly after his shoes came off his feet looked like this (above) - fairly flat with shallow collateral grooves and weak bars and heels. His frog is also contracted though its a lot better than some. Four weeks later he has better collateral groove depth starting to develop but its clear from the shadows round his toe that he has very little support or sole depth at the front of his foot. 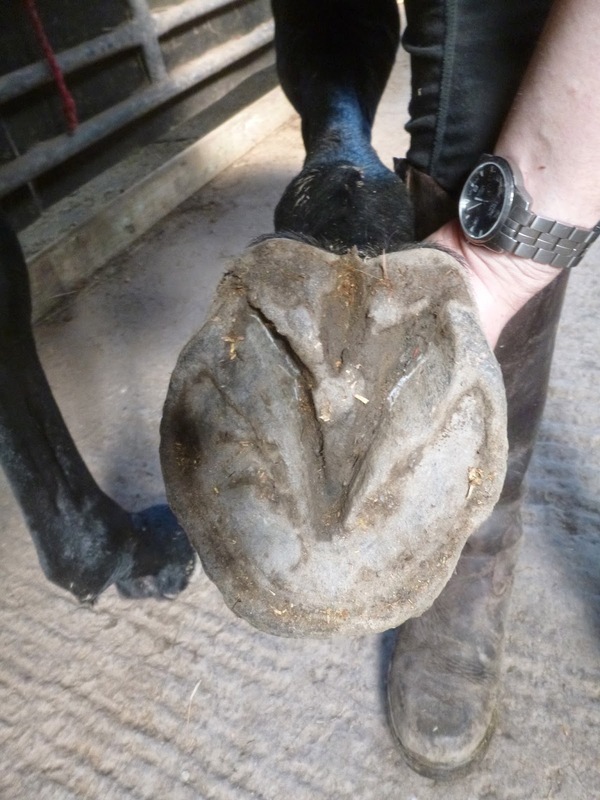 As his new hoof capsule grows in this should improve quite rapidly; for now it makes it very clear just how long his toe is and how much shorter his break-over will be in a few weeks time. At the business end its encouraging, with a better frog and digital cushion beginning to appear. With the feather out of the way you can clearly see the new angle of growth and how much it will affect his toe length. 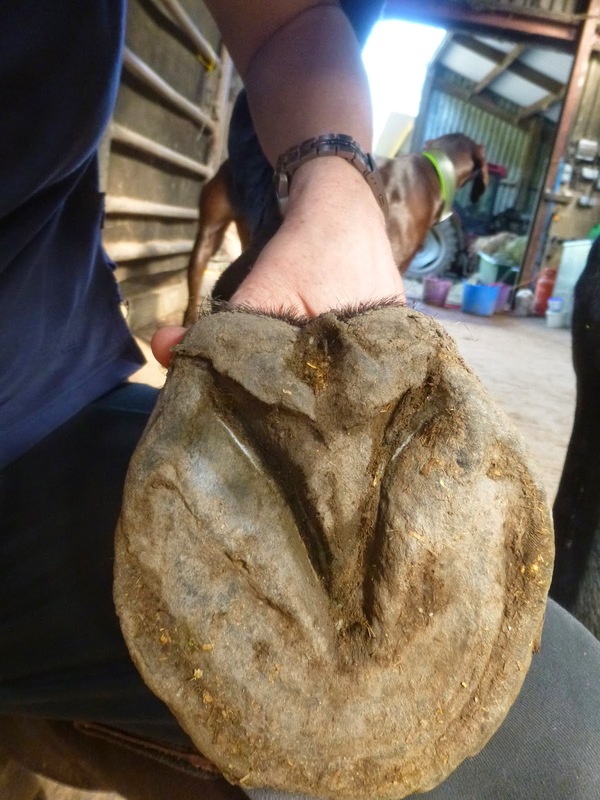 A better palmar hoof over the last 4 weeks but lots still to do! A quick update on Columbo, who arrived here a couple of weeks ago. He was lamest on his RF so this is the foot where we need to see the biggest changes. 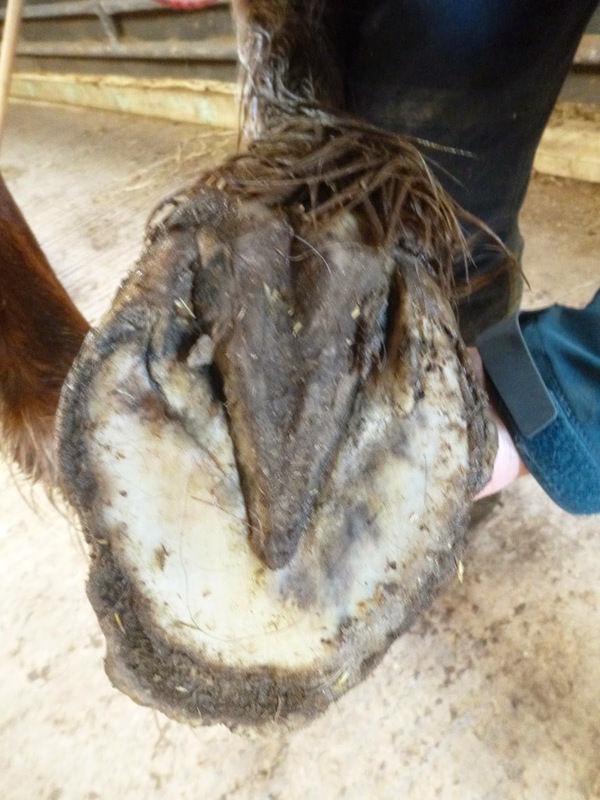 Its a tidier foot today (below) but the frog is still extremely contracted and there is old damage to the bars which you can now see more clearly. 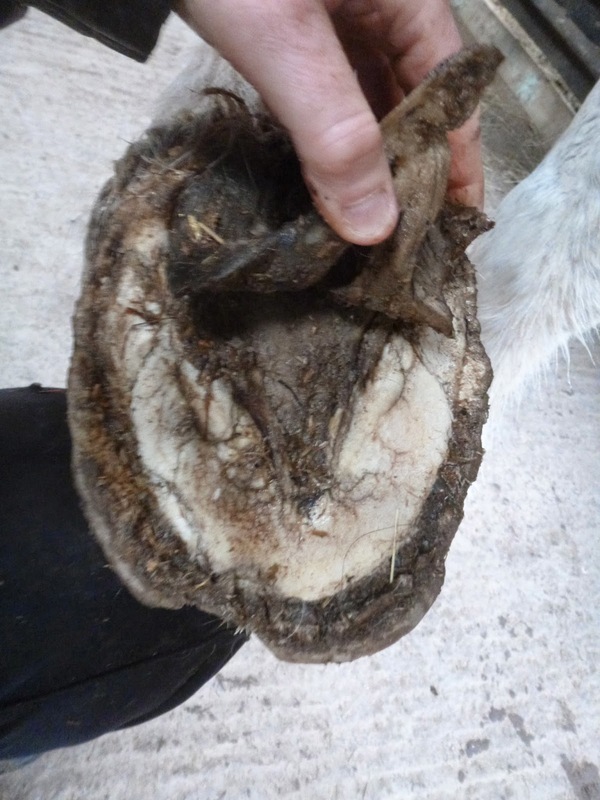 Caudal shots on the day he arrived showed the extent of the problem, with the frog not only contracted but sheared and with nasty cracks at each side which extended into the heel bulbs. Today the cracks have improved a lot and I hope that with increased stability in the foot the frog can now start to do its job. His heels are already lowering and broadening which is an encouraging sign. Its ironic that horses like Columbo are so often described as having "low heels" whereas in fact his heels are way too high at the moment . The reality is that it will be the development of his frog and digital cushion which will improve his soundness and that once those are better his heels will effectively be far lower than they are at the moment. 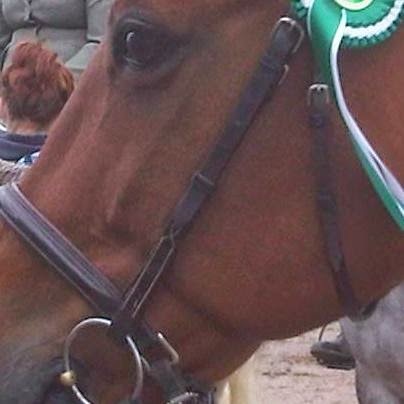 A seriously impressive cluster of results and photos came in from the ex-rehab horses over the long weekend and I just have to start with Paddy, who has been out competing in endurance. Paddy was here last year with a combination of hoof and spinal problems so his rehab is doubly impressive and to see him looking like this is absolutely magical. 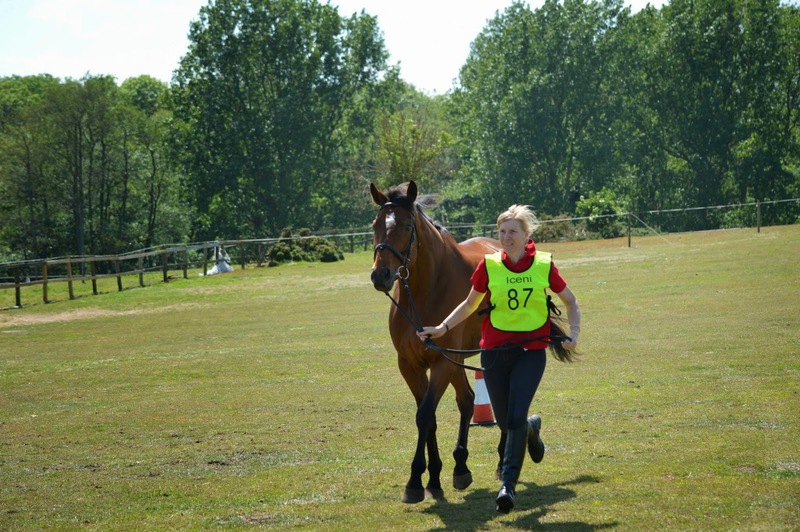 Not only was he competing over 32km but they were awarded a grade 1 and he had a finishing heart rate of 39 - all credit to Emma for all her hard work! 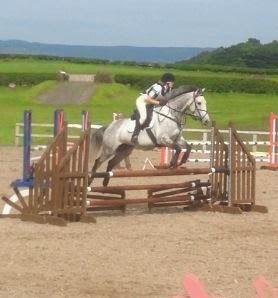 Lucy and Amanda were out jumping with their customary flair and panache and came 9th! 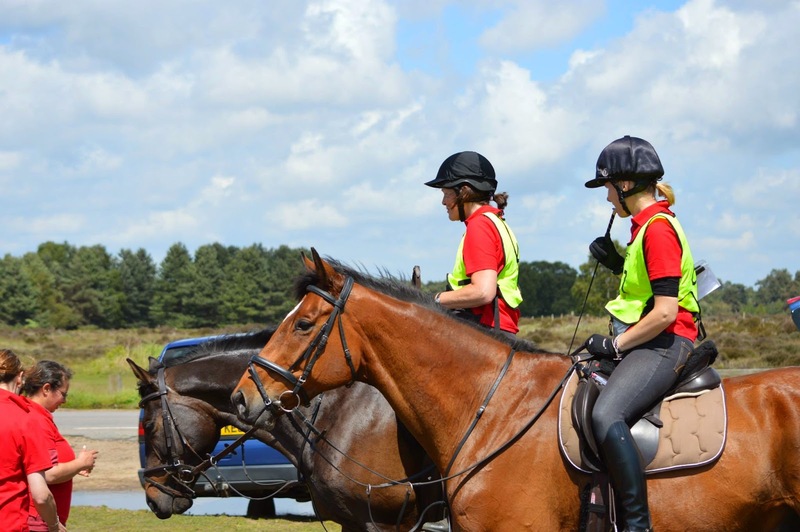 Finally, last but not least, Krista and Buddy went XC schooling - Go Buddy, go Buddy GO, GO, GO! We had 2 new arrivals last week - Betty and Duffy who flew in all the way from Dubai. Like Knightley they are returning to the UK after several years abroad and so they have spent the last few weeks in quarantine. Before that, they were kept in conditions very different from those we have here, and its fascinating to see the effect that this, plus restricted movement in quarantine, has had on their feet. Duffy is a proper cob and so has huge frogs which have completely overlaid his heels for the moment. It all looks pretty ugly until you pick the frog up and realise that the whole thing is desperate to shed off to a more functional size and shape. 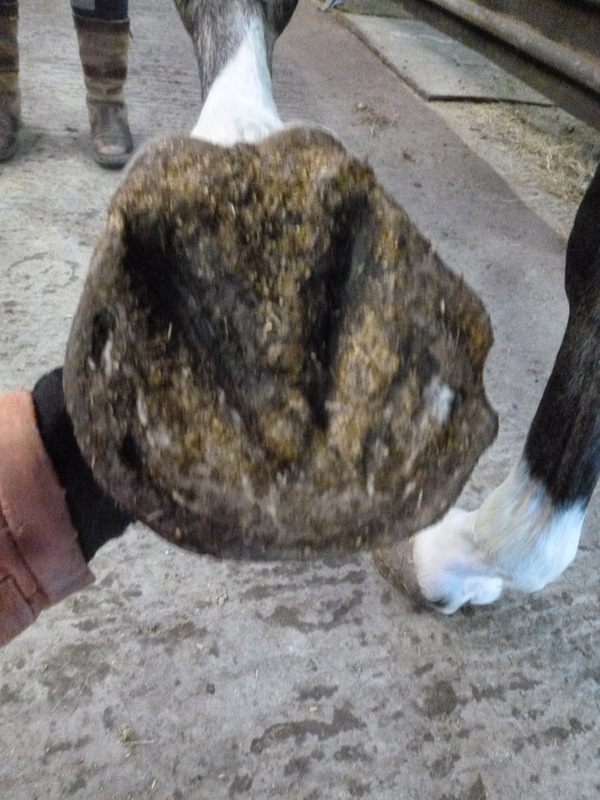 There is also of course lots of long hoof wall which is already chipping and self-trimming so it will be intriguing to see how Duffy's feet develop over the weeks to come. 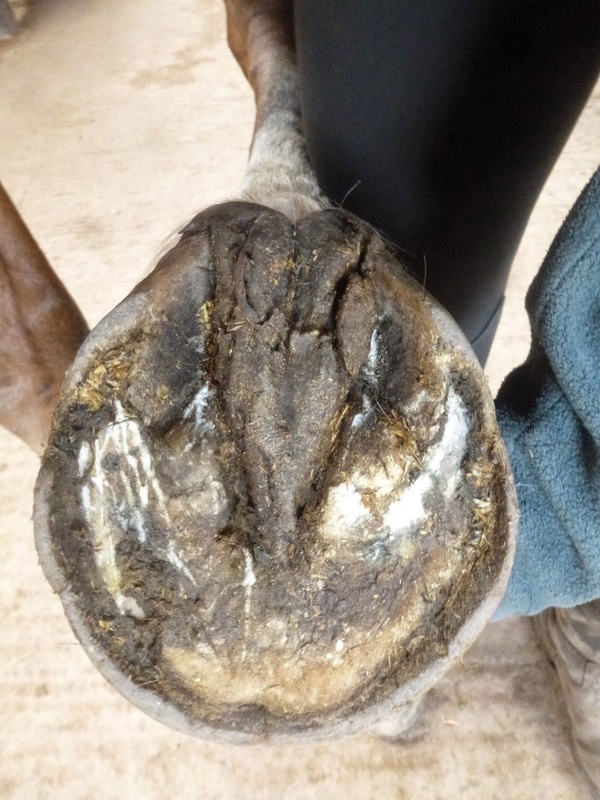 Lateral shots show a rather under-run heel and weak digital cushion - not surprising given his recent lack of movement and again its something I will be watching with interest. 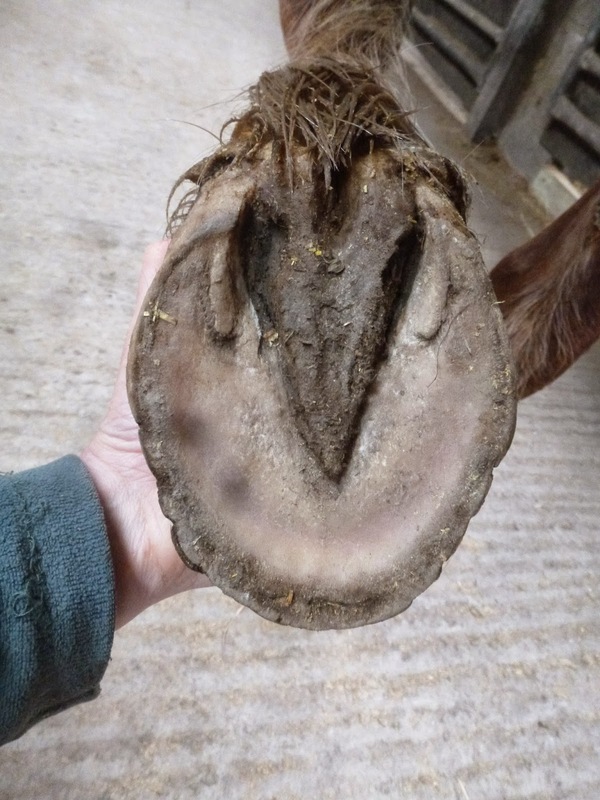 Betty's feet have slightly different issues, with the RF being weaker and more under-run than the LF, though she still has better feet than many horses when they arrive here. The difference between RF (above) and LF (below) is very clear on these photos, with the LF definitely the stronger foot. As both Duffy and Betty have been out of shoes for a considerable time they had no real problems adjusting to life on our tracks but - as they have lived on much softer surfaces in Dubai - they will both need a while before their hooves are strong enough to allow them to land correctly on tough surfaces. Again a slightly belated update for Clementina, who arrived here on 19th March but as she has now been here 8 weeks its more than time. Clementina had been out of shoes for several months before she arrived here and had moved from a toe first to a flat/intermittently heel first landing. 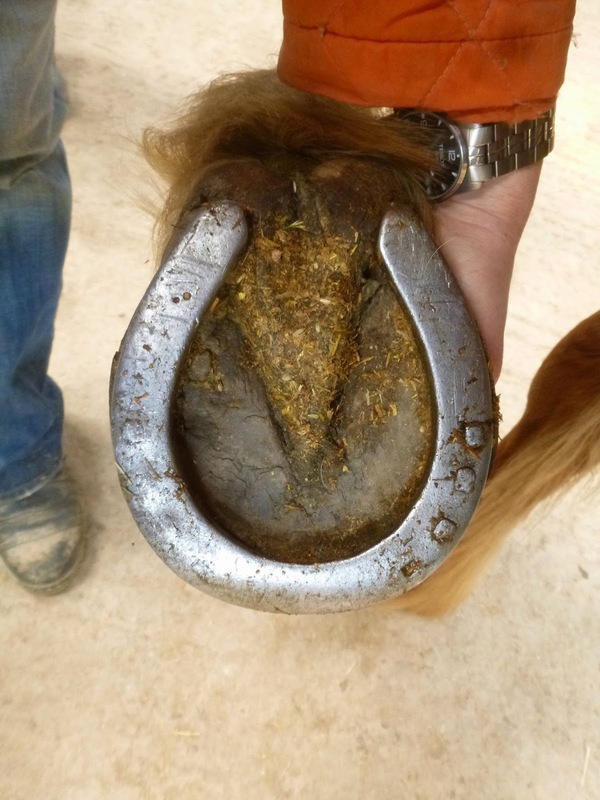 As you can see from her initial photos, she had a lot of distortion in her bars, heels and sole and a long toe which is desperate to shorten. 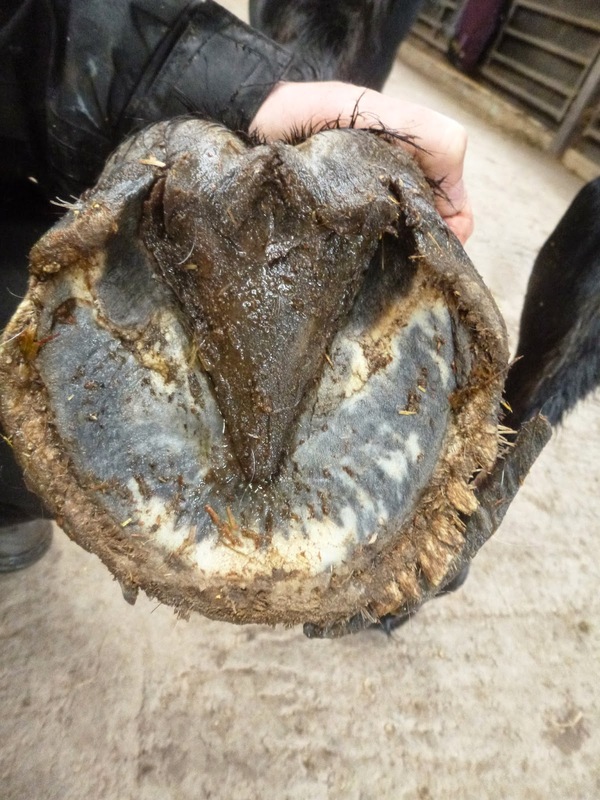 In her more recent photos, taken a few days ago, her frogs, bars and heels are stronger and her toe is shortening though it will improve further as her new hoof capsule grows in. Lateral shots show a shorter toe and a better digital cushion but her heels are still very under-run and it will take several more months before her heels are fully supportive. 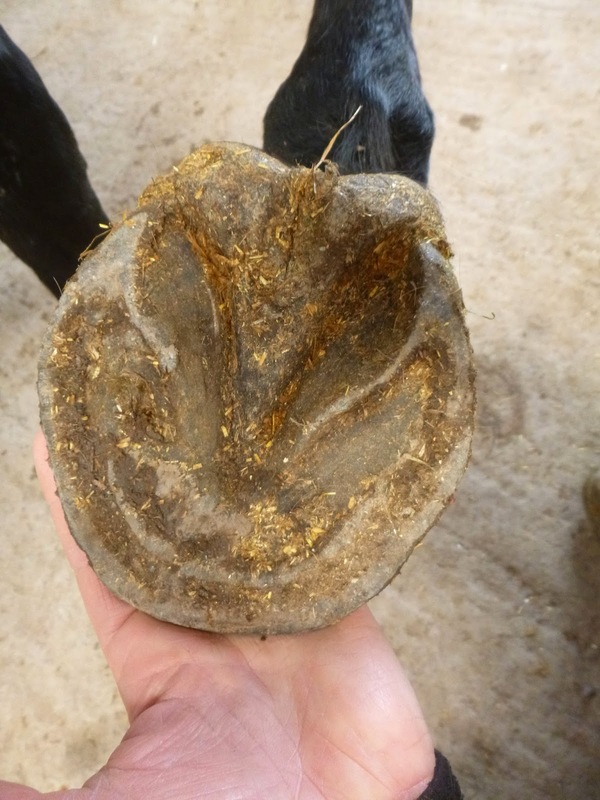 These aren't the best caudal shots but again they give you a sense of how the palmar hoof is building up. The biggest changes are in the depth of the frog and the strength of the digital cushion - Clementina has a way to go but she is heading in the right direction. More of the same on the right front so I will leave you to draw your own conclusions from the changes which are happening in these photos. One for Edward...Get well soon! 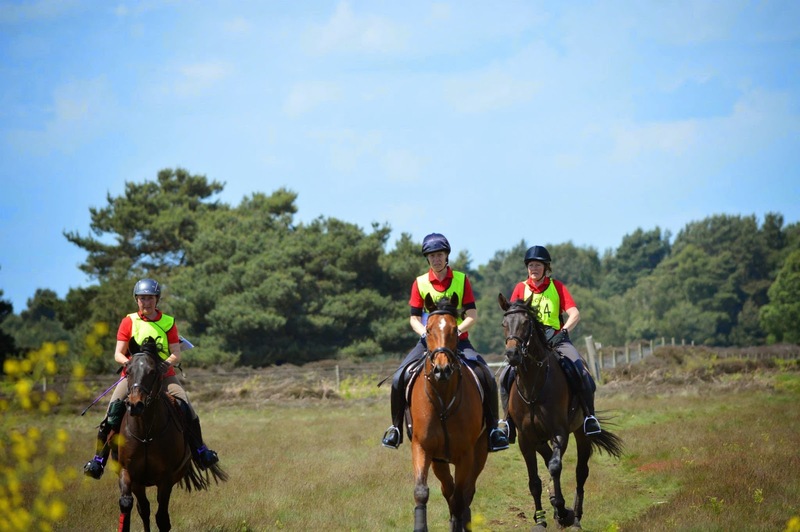 What did you do at the weekend...?